As we approach a full year since the Supreme Court struck down PASPA, has anything surprised you with regards to first steps by the growing U.S. betting industry? I think the surprise has been some of the rough patches we’ve seen from some inexperienced operators in the U.S. market. Despite importing a variety of different technologies that were supposed to be “best” in class, we have seen some very public missteps by both the incumbent brick-and-mortar operators and online operators who have found out the hard way that operating a sportsbook is a lot more challenging in the U.S. market than first contemplated. It seems there was a real rush to market in a sense and that has resulted in products that were optimized for non-U.S. markets under-performing in U.S. jurisdictions. But despite these growing pains the market has performed exceptionally well and that is a great credit to the regulators in states like Nevada, New Jersey, Mississippi and West Virginia. New Jersey is a prime example of the appetite for sports wagering and a reason for more states to regulate. Numbers as of December 2018, year to date, have the New Jersey market at over $1.2 billion in handle with sports wagering generating more than $94 million in revenue for operators and more than $10.4 million in tax revenue for the state. This is a very strong showing for a market that is only six months old. I believe the road ahead will be a continued push by state regulators to get live and bring those tax dollars into their respective state coffers. We are seeing many bills being introduced in states like New York, Massachusetts, and Connecticut in the last few weeks alone. I expect as many as 15 states to be live within the next 24 months. 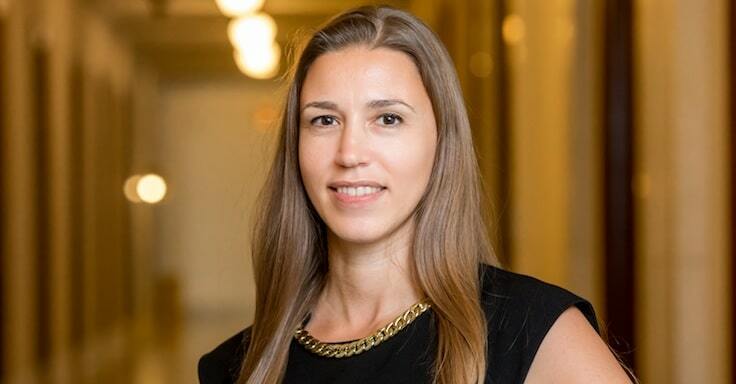 In the race to develop first U.S. betting products, platforms and services, have concerns related to integrity and responsibility been put aside by U.S. stakeholders? 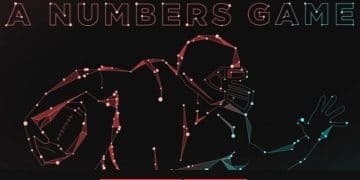 Many new players are trying to enter the U.S. market but for most of the new operators outside of Nevada, it will be a learning curve on how to operate a sportsbook efficiently and fairly. The New Jersey market has seen some situations where customers have felt that they were misled by operators. From my point of view, U.S. companies that are tapping into the Nevada talent pool and are using U.S.-based enterprise gaming technology will be the most successful in these new emerging markets. It will be challenging for some of the players to just take a European solution and apply it to the U.S. market; there is no easy “copy and paste” approach. It needs experts that understand the U.S. and the specifics here as the way of consuming sports and sports betting customer is different from overseas. Are the fears over sports integrity overblown? Won’t the very act of bringing a black market activity into a regulated environment actually make things safer? Isn’t that what Adam Silver wrote in 2014? I am not ready to ever say that sports integrity is overblown. Safeguarding the integrity of sports must remain the priority. However, this needs to be accomplished no matter if the leagues receive an “integrity fee” for policing their ranks or not. There is a need for an independent and unbiased body responsible for regulating and enforcing gaming laws, which is appropriately and properly handled by our state regulators. The risk that games become manipulated is much higher in an unregulated environment than in a regulated and transparent market, but it should not be forgotten that most of the US market is still unregulated. There is no doubt that common sense regulations that include mobile access and reasonable tax rates foster an environment where players feel safe and secure. The more we open up states to regulated gaming, the more that states can effectively protect players and capture lost tax revenue while also ensuring the integrity of the games are safeguarded more effectively. States, particularly those to have legalized already, are generally opposed to federal legislative framework on betting. Do you see a conflict brewing? Do you think federal oversight is necessary? I wouldn’t say a federal mandate is needed. In fact, no other form of legal gaming in the U.S. has direct federal oversight, whether social, fantasy sports, skill gaming or casino gambling. Historically, oversight is within the purview of the states, including whether to legalize or prohibit. There are differing points of view on federal versus state oversight of legalized sports betting; setting aside either side, imagine if federal oversight actually did exist: what then? Bifurcated regulatory and licensing procedures where you’d be a casino licensee with the state and a sports licensee with the federal government? Would licensees then be paying duplicative application and investigation costs? Who would have the knowledge base at the federal level (or budget) to effectively understand and regulate sports betting? The number of potential pitfalls to a federal plan are significant and it does not seem that they’ve been fully addressed or contemplated when driving for a federal solution, so if the actual implementation of the plan is lacking then the question is what is the real reason that there is a push to federal oversight? How problematic for the development of the sports betting industry is this re-interpretation of the Wire Act? The most recent developments regarding the Wire Act have reopened that law for further consideration and analysis. Predicting the ultimate outcome is difficult at this time. 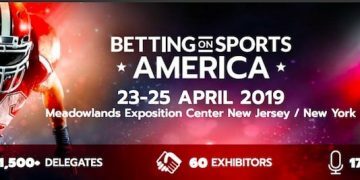 Betting on Sports America, coming on April 23-25 in New Jersey, is the largest dedicated sports betting conference and exhibition in the US. The conference boasts 175 leading industry speakers across 40 sessions, with 60 exhibitors displaying their latest products on the 61,000 square feet exhibition floor at the Meadowlands Exposition Center. Delegates will be treated to world class hospitality with plenty of business and networking opportunities in New Jersey (Meadowlands Racetrack) and New York (40/40 Club and Sky Room Rooftop Bar). For more information about the event, please visit the EVENT WEBSITE.